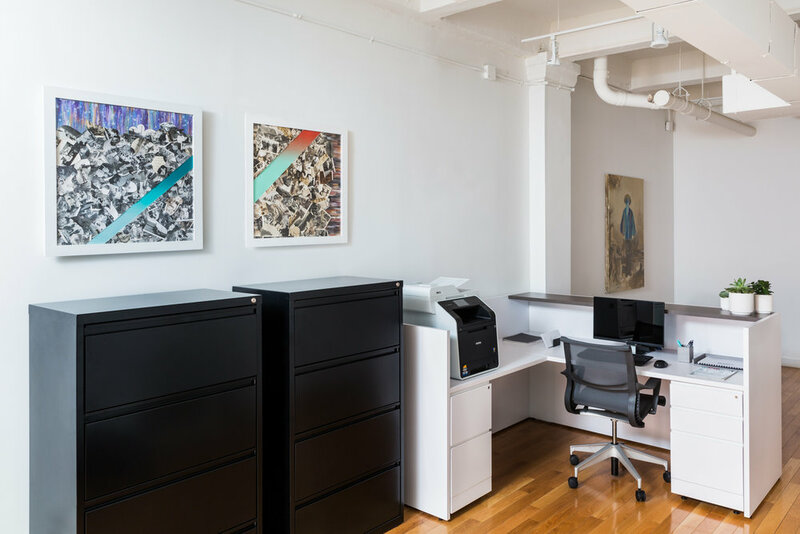 Loom Capital Management, is a capital investment firm that provides investment advisory services, recently relocated to New York's SoHo neighborhood. We maintained the design intent and delivered a craftsman level quality to the finished space. In addition to project management to meet Loom Capital's budget and schedule, ensuring the most competitive cost efficiency and project delivery. We provided interior design, featuring the works of contemporary artist Shinya Kato. 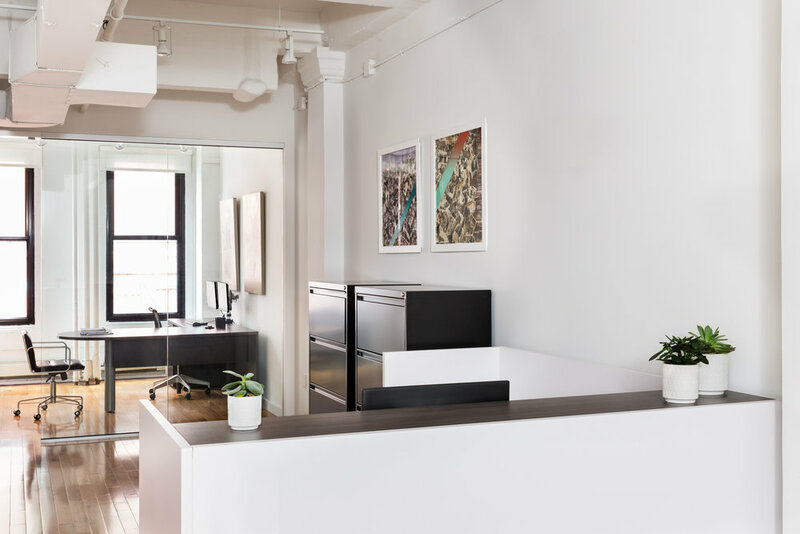 The design optimizes the space layout with a reception area that leads into a scalable open office space area and 3 glass enclosed executive offices with ample space, which capture and maximize daylight, as well as provide noise isolation from the rest of the office.